When it comes to July 4th, most Americans think about grilling, fireworks, or maybe even independence. However, there are a few who think of science fiction and not because of that silly Will Smith movie. 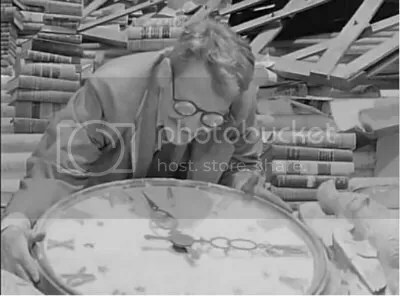 For many years, the Twilight Zone marathon has aired on Independence Day or New Years Day annually. It has become a tradition which probably became even more popular with the invention of DVRs. I’d explain what the show is about but a perfect opportunity is coming this Wednesday to actually see it on Syfy. I’ve known of this program my whole life but truly discovered it in my early teens. There was a marathon airing one July 4th on WPIX, the local network channel in NYC and I decided to finally give it a shot to see what the fuss was about. The first one I saw was “The Monsters Are Due on Maple Street.” It was okay but nothing to write home about. 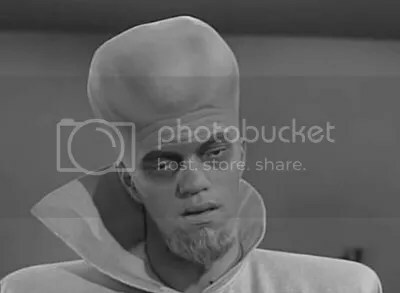 The next episode, “To Serve Man” was the one that really blew my mind and helped me realized that this show was something special and I’ve been missing out. I can still remember how my mind was reeling after watching the end twist. Usually I’ll put on the marathon when I happen to be home and it’s on during the day or while falling asleep. I’ve watched most of the episodes by now but still enjoy them and look for my favorites. Since it is coming up, I decided to list my top five episodes. Now, this sounds crazy to do because there are many great episodes and five seem too restrictive. Favorites can also change and almost everyone will probably have different lists. All I’m doing is just listing my current five after some (not much) consideration and in random order. This is a desperate situation where eventually the end of the world will come. Every time I watch it, I get very hot and uncomfortable, which is most likely due to convincing acting. It also has an interesting twist, which is still depressing. It’s creepy yet satisfying. Certainly not a situation I would not want to find myself in. This one is ugly because everyone eventually get shot up with the Mel Gibson truth serum. 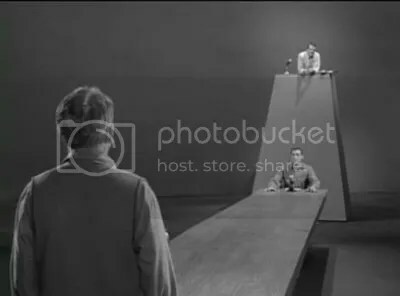 A dinner party gets informed that there may be missiles headed their way from Russia and only one of the families have a bomb shelter. You can imagine how bad the situation gets when people are desperate. There’s even a bit of racism against a Hispanic. Entertaining stuff, even if it’s a nightmare. It’s not airing this year on the marathon but you can find it on Youtube. Heck, you can find most episodes on Youtube. Burguess Mederith appears again as a guy who just wants to read a book but it seems like everyone hates that he likes to read a lot. I swear, I could understand that mentality if they had Dancing with the Stars in the late 50’s/early 60’s, but they didn’t. It’s okay though cause a missile takes care of his problem. Aliens come to Earth to bring peace, but others are suspicious of them. I don’t want to say more for those who are reading but never saw it, but if that’s the case, stop reading and watch the episode already. This is the one I mentioned earlier that blew my mind and got me hooked. Watch it before someone else ruins the ending for you. Syfy now airs the marathon and has for the past several years. Unfortunately they cut the marathon down to only 21 hours this year when it used to be on for two days straight. I don’t know why it was shortened and nobody seems to be saying anything. Still, it’s nice to keep the tradition going and maybe it will be longer for New Years. You can find a list of the episodes for this year’s marathon here. Please feel free to comment on what your favorite episodes are for the show. Like I said, most lists will probably be different. Enjoy and have a Happy Independence Day!